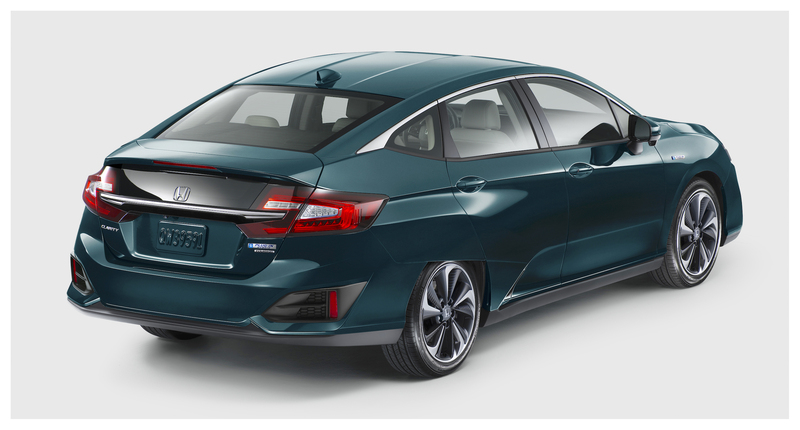 Yes, Honda introduces what they’ve called an “…unparalleled electric drive choice with premium midsize sedan capability and three advanced electrified powertrain options,” and all I can focus on is those oddly-shaped wheel openings. So I stared and stared at the photos until it finally came to me. 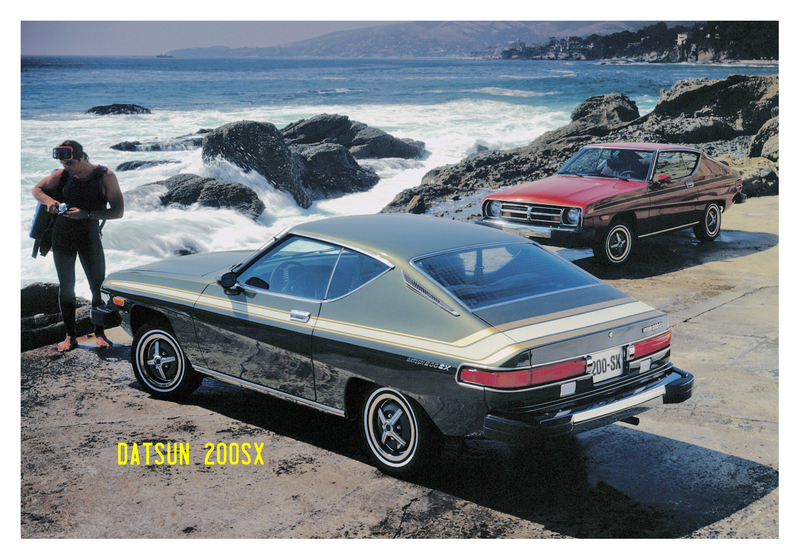 Honda’s stylists were inspired by the 1975-79 Datsun 200SX coupe. No other way to explain it. It just can’t be a coincidence. There are two new models, the Clarity Plug-In Hybrid and the Clarity Electric, joining the newly re-designed hydrogen-powered Clarity Fuel Cell (which has been on sale since December 2016). In case you missed it, the Clarity Fuel Cell is sold only in California, where there is already a network of hydrogen filling stations. To date, about 100 cars have been sold. Honda is projecting much better success for the Plug-In Hybrid and Electric models, targeting sales of 75,000 cars in the first four years. To put that in perspective, fully electric and plug-in hybrid sales of 29 models from 16 different manufacturers for all of 2016 totaled 144,455 units (according to cleantechnica.com). The Plug-In Hybrid’s electromotive power will come from a 181-hp electric motor which will draw its power from both a 1.5L Atkinson gasoline engine and a 17-kWh battery pack. Honda is anticipating an EPA rating of 105 MPGe (miles per gallon of gasoline equivalent). It should provide for an all-electric driving range of 42 miles before the gasoline engine comes online. Total combined driving range should be more than 330 miles. The Clarity Electric will be powered by a 161-hp motor which will draw its power from a 25.5-kWh battery pack. A 240-volt charger will give a complete charge in just over three hours, while a DC fast charging system will provide an 80-percent charge in 30 minutes. Its EPA estimate is expected to be 120/102 MPGe city/highway. All Claritys will be mid-size premium four-door sedans, with what Honda calls “…a low, wide aerodynamic body with unique design elements including its own hero color.” The “hero color” term is never fully explained. 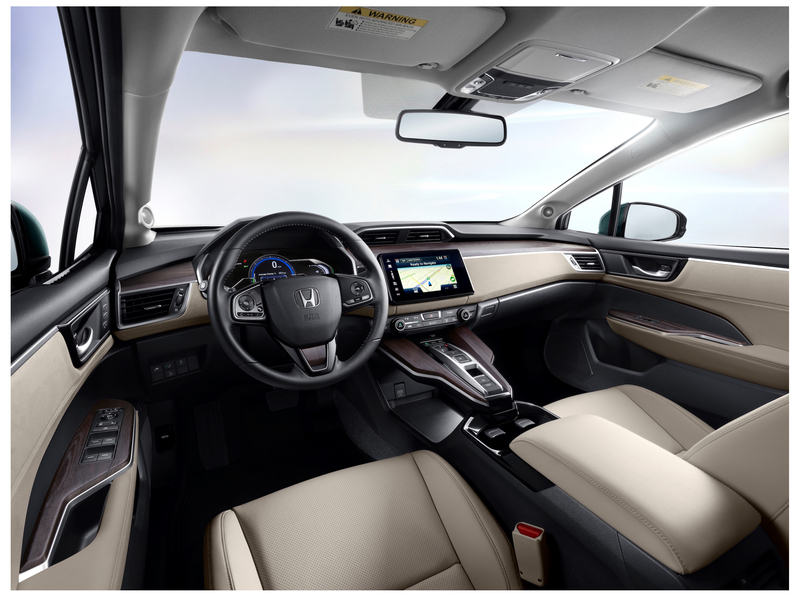 Interiors contain what Honda calls environmentally conscious materials, and are equipped with an 8-way power seat. Full LED headlights grace the front of the car, while at the rear the uniquely-shaped full LED taillights should give the Clarity a distinctive night-time appearance.